Fun & Educational Gift Idea! My daughter loves reading about Egypt and the mummies of ancient civilizations. They are actually studying about them in her Social Studies class this year. 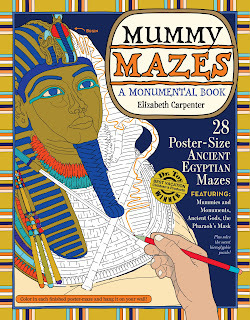 I was offered the opportunity to review a copy of the book, Mummy Mazes: A Monumental Book, by Elizabeth Carpenter, and there was no way I could turn it down. I'm honestly not sure who enjoyed the book more, my daughter, or me! We even shared the book with my daughter's teacher, and she loved it as well. The first new idea in maze books since Egyptian times. Originally self- published, Mummy Mazes has won awards and seals of approval from Dr. Toy, The National Parenting Center, Independent Publishers, and Creative Child Magazine. 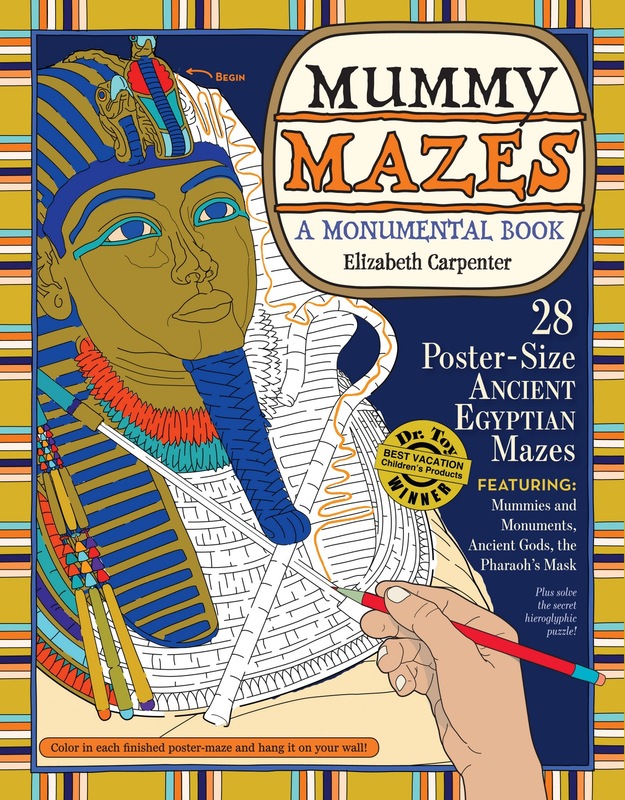 Written and drawn by Elizabeth Carpenter, Mummy Mazes is ingeniously designed to open up to 28 poster-size pages—these are deliciously big mazes, the kind kids will pore over for hours. There are mummies, monuments, and intricate murals, ancient gods and the Pharaoh’s mask, scarabs, an Egyptian night sky, and the Giant Sphinx who guards the pyramid complex at Giza. The meticulously drawn mazes lead kids through hieroglyphics, cracks in the limestone, detailed wall paintings, and more. Adding to the fun, each maze is linked by an adventure—the reader joins Professor Archie Ologist on an expedition from the Colossi of Memnon into the heart of long-lost tombs, learning along the way about the cat-goddess Bastet, why both men and women wore wigs, and how much linen it sometimes took to wrap an important mummy (three miles’ worth!). Once all the mazes are completed, there’s a hieroglyphic puzzle to solve at the end—and then the whole doubles as a coloring book. The pages are perforated to tear, color, and then display on the wall. The book is very reasonably priced at $11.95 and really held our attention. Trying to figure out the way out of the maze is a lot of fun, and is hard enough to keep you coming back for more. The information provided on the poster size pages is extremely interesting, even to adults! We spent lots of family time going through the book, both completing the mazes and coloring the pages. Don't let the fact that the book is geared for ages 8-12 hold you back. Younger kids will enjoy helping you figure out the maze and color the pages! Adults will enjoy it as well! You and your kids will learn about ancient civilizations and mummies, without even realizing it! Giveaway: I have one copy to give away to a lucky Shelly's Bits and Pieces reader. All you have to do is comment below. 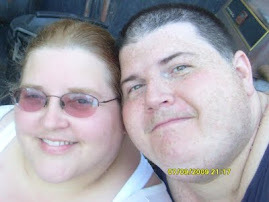 Tell me what you think you would enjoy more, working on the maze, learning about mummies, or coloring the pictures. 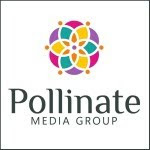 * Follow me on twitter @sleatham1 1 extra entry – Please leave your Twitter ID in the comments. Disclosure: I was provided with 2 copies of the book, one to review and one to giveaway. I was not given any compensation for my review, and I was not required to post a positive review. All opinions are my own and are true! Giveaway open to US and Canada, and ends at 11:00PM EST on Dec. 12, 2010. Winner will be chosen at random and will be notified by email! You MUST leave me your email address so I can contact you. Winner has 48 hours to respond or a new winner will be drawn. Winner is #11 Nonapig. She has responded! Thanks for all those who entered! I'd have the most fun working on the maze.